Can choose from 2 packages: either 4 adult cars or 4 kid cars with 1 adult car. ATTENDANT IS ADDITIONAL FOR $50 PER HOUR UP TO 6 HOURS. 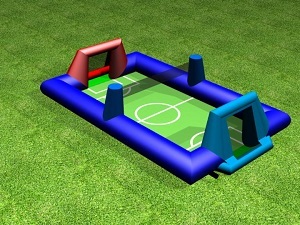 This all-in-one inflatable game is great for all ages and allows you play Foosball! 5 person teams hold ropes that allow you to move side-to-side but not forward or backward. 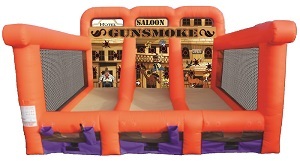 You can also remove the ropes and play Soccer or connect a Volleyball net with the ball included! About 20'x40' and 8' Tall. 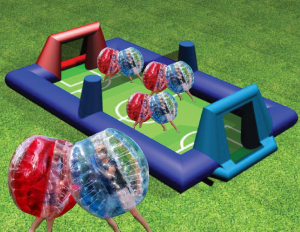 Includes same as Human Foosball Arena and 3 Red human bubble balls and 3 Blue human bubble balls. 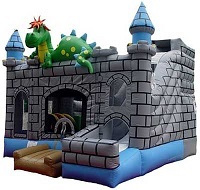 Must play inside inflatable arena or inside a gym. About 20'x40' and 8' Tall. 22'H x 50'L x 13'W. 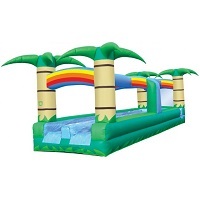 waterslide that connects to slip-n-slide piece with blowers and soaker hoses. *Slide does not have pool ending shown in photo, the ending is same as our Tropical Waterslide. A traditional favorite. Ideal for toddlers through age 10. 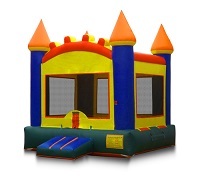 Includes an obstacle course, bounce area, climb, and slide. Each train car has a different activity. One car is a bouncer, the next, an obstacle area and the big finish is a climb and slide out the locomotive. Two kids at a time can run and dive into this fun water slide. 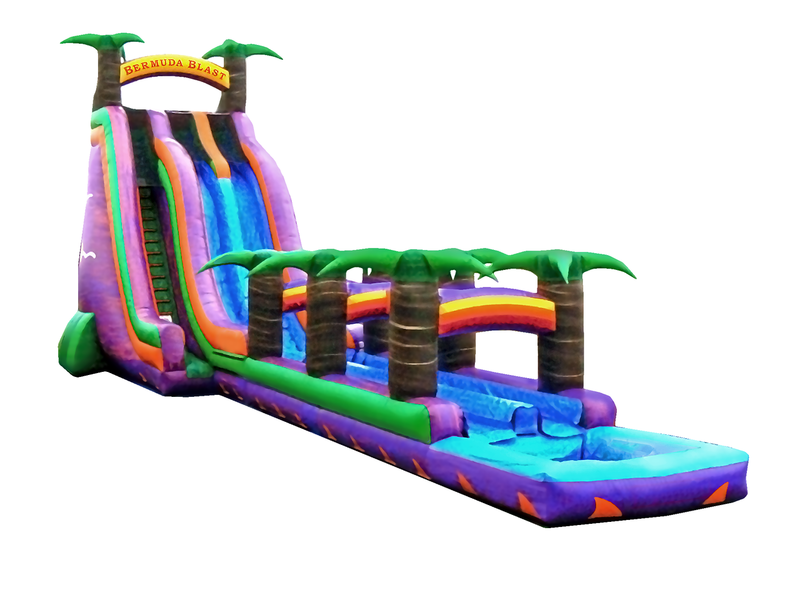 Can be combined with our 22' Tropical Slide for a wild water ride. Requires water hook- up and garden hose provided by customer. Price is for a 3 hour rental. Use modified paintball guns to shoot bazooka balls at targets. Includes 3 compressed air guns and 6- 9 oz. compressed air tanks. *Nolan's Rental Attendant Available Upon Request for an Additional $100. Climb to a platform and zip-line from one end to the other! 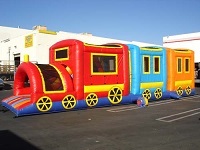 Great for kids 12 and under (not an adult ride). 3 on 3 Bazooka Ball Game. Includes 6 compressed air guns and 12 9 oz. compressed air tanks.